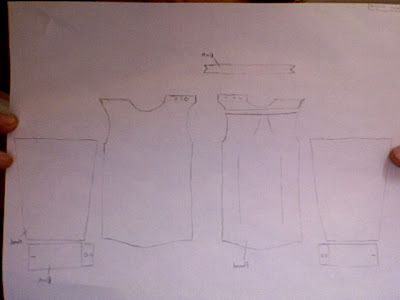 Making a shirt from scratch is hard. Like always, I bit off more than i could chew. To get the fabric, I went to 4th Street in South Philly. As depicted in the mural, 4th Street houses many leather and fabric shops. If you're ever in the area, swing by a couple shops. Right now, moral is low after messing up a sleeve and the neck. I am running low on fabric. Tomorrow, I will continue to the trek.